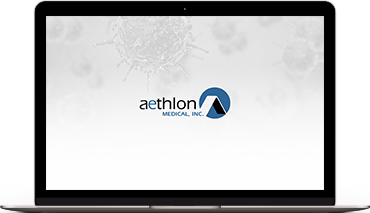 Aethlon Medical develops immunotherapeutic technologies to combat infectious disease and cancer. To augment the body's natural immune defenses, the Aethlon Hemopurifier® reduces the presence of circulating viruses in infected individuals. The technology provides a first-line candidate defense against viruses that are not addressed with proven drug therapies, including natural occurring pandemic threats and agents of bioterrorism. The Hemopurifier® can also be deployed as a strategy to improve the benefit of approved antiviral drug regimens. At present, the Hemopurifier® is being advanced in the United States under an FDA approved clinical study. Aethlon Medical is also investigating the potential use of the Hemopurifier® to reduce the presence of tumor-derived exosomes, which contribute to immune-suppression and the spread of metastasis in cancer patients. Aethlon Medical is also the majority owner of Exosome Sciences, Inc. (ESI), which is focused on the discovery of exosomal biomarkers to diagnose and monitor cancer and neurological disorders, including Alzheimer's disease (AD) and Chronic Traumatic Encephalopathy (CTE). ESI's TauSome™ biomarker is being clinically evaluated as the basis for a blood-based test to identify CTE in living individuals.